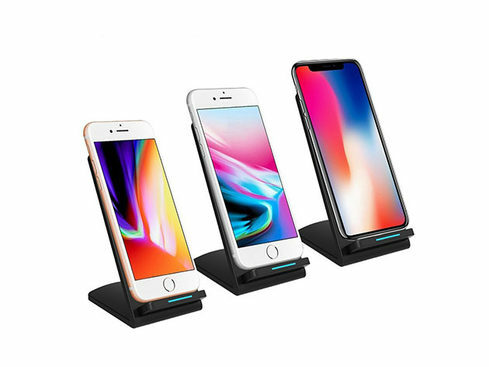 This Qi Wireless Fast Charging Stand will wirelessly charge your iPhone 8, iPhone 8 Plus, and iPhone X. Just place your device on it to charge it. You may have seen those funny-looking charging pads at Starbucks and wondered why your phone didn’t work with them. The answer is that your phone may not have been Qi-enabled. 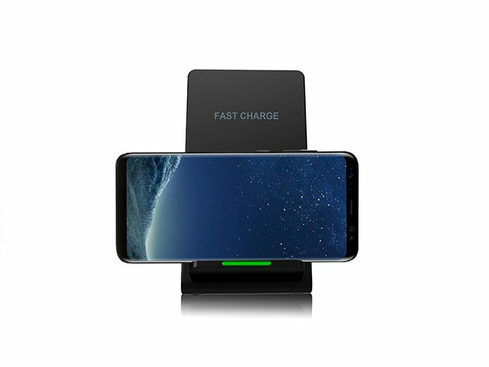 However, many new phones, including the iPhone 8 and X, and the majority of Samsung phones are Qi-enabled for simple, safe, wireless charging. As such, this ingenious stand will be a great convenience, allowing you to charge your phone without ever plugging in. Just set it down and get powered up.